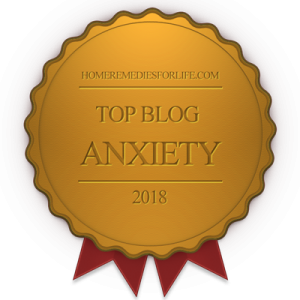 In the first of this now three-part series (and that’s it, I promise) we opened our discussion of mood, anxiety, and weight-gain. And in part-two we had a nice discussion of the relationship between the use of antidepressants and weight-gain. Well, we’re going to close the series by talking about the weight-gain ramifications of using the medications typically prescribed for bipolar disorder. In this age of technological and scientific wonder, there’s absolutely no excuse for the lack of progress in formulating pharmacological remedies for the emotional and mental disorders – that aren’t full of side-effects and question marks. I mean, you name it – cancer, HIV/AIDS – great progress has been made in treatment alternatives. And, at bare minimum, the effort’s been there. Our issues? Forget it! If you aren’t exercising – the right way and consistently – you cannot look yourself in the mirror and say you’re doing all you can to manage your emotional or mental disorder. If you’re enduring any degree of bipolarity (I, II, cyclothymic disorder) it likely isn’t front page news that most of the medicines typically prescribed for relief have weight-gain written all over them. We discussed the antidepressants yesterday, so today we’re going to feature the mood-stabilizing medicines – the atypical antipsychotics, anticonvulsants, and lithium. olanzapine (Zyprexa), quetiapine, (Seroquel), risperidone (Risperdal), aripiprazole (Abilify), and ziprasidone (Geodon). No doubt, Zyprexa wears the championship belt for weight-gain potential. It is estimated that 40% of those using an atypical antipsychotic will experience a weight-gain of over 10%. Though the atypicals have less potential for extrapyramidal issues than the classic antipsychotics (eg: haloperidol (Haldol), chlorpromazine (Thorazine)), their potential for weight gain is higher. I’ve elected to list lithium (Lithobid) separately because, though it is a mood-stabilizer, it isn’t an anticonvulsant. In terms of weight-gain it would rank right up there with Depakote. Now, as we’re discussing med-induced weight-gain it’s very important to point out it’s very fertile ground for something known as metabolic syndrome. This is a constellation of medical situations – increased blood pressure, elevated insulin levels, excess body fat around the waist, abnormal cholesterol levels — that present in concert, and big-time increase the risk of heart disease, stroke, and diabetes. My research suggests Zyprexa and Depakote are the two meds to watch most closely with regard to metabolic syndrome. The onset of diabetes (independent of metabolic syndrome) is also a risk for Zyprexa. Depakote presents increased risk for polycystic ovarian syndrome (PCOS). Okay, so I sound like a broken record – EXERCISE! 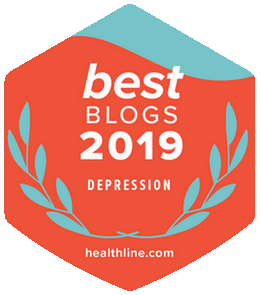 It’s just a good common sense choice for anyone enduring any emotional or mental health situation; however, I read about its benefit for bipolar disorder med associated weight gain over and over again as I was conducting my research. Consider using the meds that aren’t as clearly associated with weight gain – Trileptal, Lamictal. If Trileptal or Lamictal aren’t efficacious, consider other meds in the order of their potential for weight-gain – remembering Zyprexa is at the very top of the weight-gain list. If Zyprexa is a must, ask you psychiatrist about a different formula of olanzepine, Zydis. It’s a wafer that’s absorbed across the membranes of the mouth. Reportedly there’s less potential for weight gain, but it’s more expensive than Zyprexa. If you’re using Depakote or lithium, consider a strategy of using a combination of meds at lower doses. Over the years there have been other suggestions, most of which really didn’t pan-out. Examples: a medicine known as amatadine (Symmetral), used in the treatment of Parkinson’s and respiratory infections associated with the influenza A virus worked well to combat weight-gain when taken with Zyprexa. Problem was/is, there’s great risk for both psychotic symptoms and tremor. Topiramate (Topamax), used in the same manner, worked very well; however, some 33% of those using it presented with confusion and memory issues. And it even generated hypomanic episodes. Finally, Metformin (was glucophage) was given a go, but it’s now accepted that exercise works just as well. Hope you enjoyed the series as much as I enjoyed bringing it to you. You know, that’s one of the main purposes and responsibilities of chipur – presenting information all of us can consider, discuss, and possibly use. You know how big I am on all of us sharing our feelings, thoughts, and experiences in a comment or two. Won’t you?